The eagerly anticipated companion to David Levithan s"New York Times" bestseller"Every Day"
In this enthralling companion to his "New York Times" bestseller "Every Day," David Levithan (co-author of"Will Grayson, Will Grayson"with John Green)tells Rhiannon's side of the story as she seeks to discover the truth about love and how it can change you. Until the morning everything changes. Justin seems to "see" her, to want to be with her for the first time, and they share a perfect day a perfect day Justin doesn t remember the next morning. Confused, depressed, and desperate for another day as great as that one, Rhiannon starts questioning everything. Then, one day, a stranger tells her that the Justin she spent that day with, the one who made her feel like a real person . . . wasn t Justin at all. 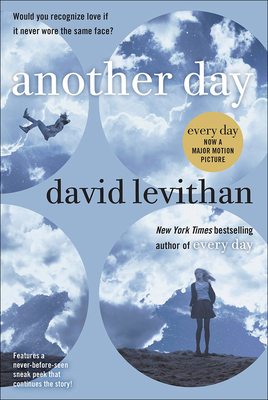 DAVID LEVITHAN is a children s book editor in New York City and the author of several books for young adults, including Lambda Literary Award winner "Two Boys Kissing;" "Nick & Norah s Infinite Playlist, Naomi and Ely s No Kiss List, " and "Dash & Lily s Book of Dares" (co-authored with Rachel Cohn); "Will Grayson, Will Grayson" (co-authored with John Green); and "Every You, Every Me" (with photographs from Jonathan Farmer). He lives in Hoboken, New Jersey."